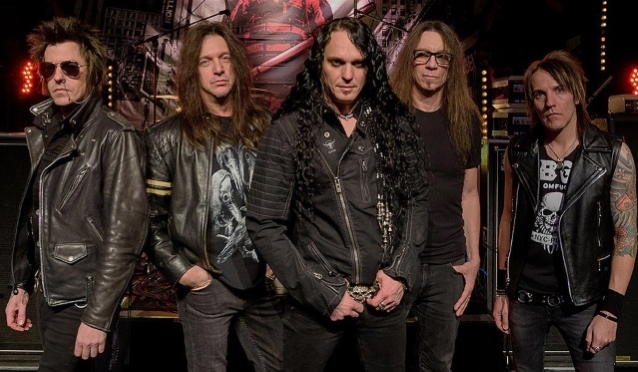 SKID ROW guitarist Dave “Snake” Sabo lately spoke with Australia’s Heavy journal. The full dialog might be streamed under. Just a few excerpts observe (as transcribed by BLABBERMOUTH.NET). SKID ROW has collaborated with a number of different artists, together with members of SLIPKNOT and HALESTORM, on the songwriting course of for the forthcoming closing installment of the band’s “United World Rebellion” trilogy. The follow-up to 2014’s “Rise Of The Damnation Army – United World Rebellion: Chapter Two” and 2013’s “United World Rebellion: Chapter One” will mark the band’s first launch with the South African-born, British-based Theart (DRAGONFORCE, TANK, I AM I), who formally joined SKID ROW final 12 months. Despite having performed sporadic reveals with SKID ROW for a 12 months, Theart wasn’t formally introduced because the band’s new vocalist till January 2017. Theart stepped into the group following the departure of Tony Harnell, the previous TNT frontman who joined SKID ROW in April 2015 because the alternative for Johnny Solinger, the band’s singer of 15 years. Listen to “Getting Excited With SKID ROW” on Spreaker.